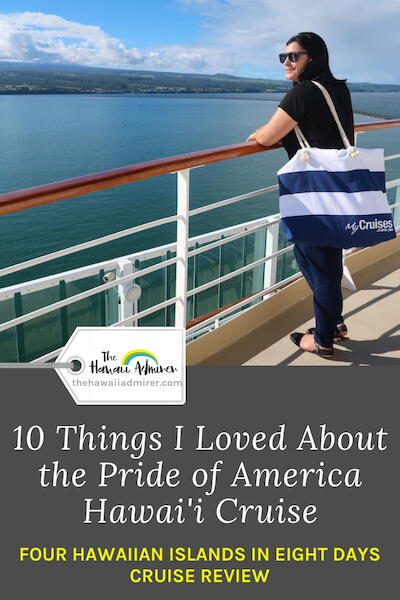 Pride of America, Cruise Review by The Hawaii Admirer. I was chuffed to be asked by MyCruises (an Australian travel company) to experience their #1 selling cruise, the Norwegian Cruise Line Pride of America. MyCruises Packages have always amazed me, such good pricing considering all the inclusions! 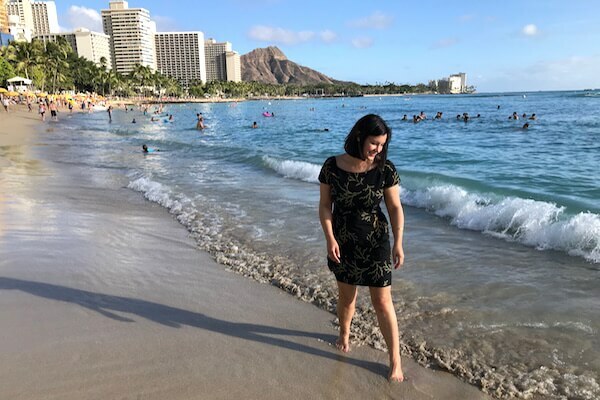 They take the hard work out of planning a Hawaii cruise holiday by including everything from airfares, pre- and post-accommodation, transfers, sightseeing and the 7-night cruise, of course! There are also BONUSES like free food and beverage inclusions, a discount tour and activity booklet and they even pre-pay your gratuities! 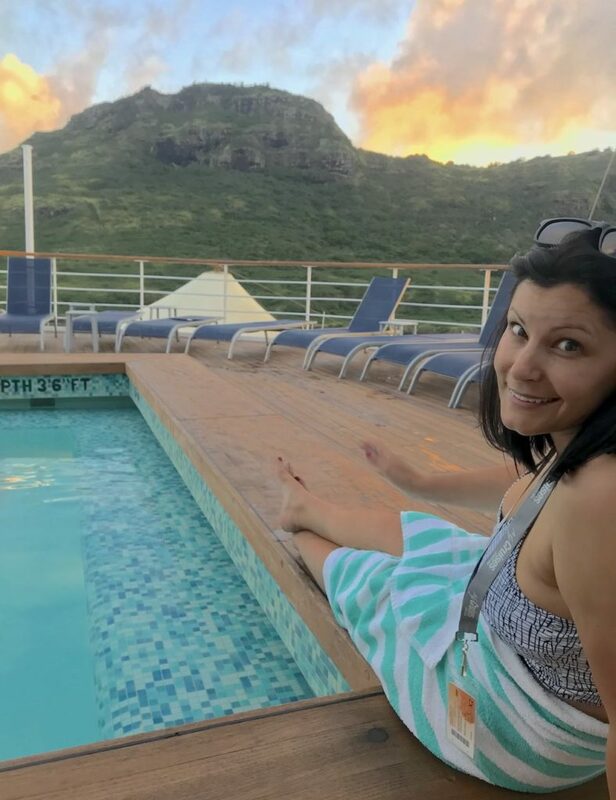 It’s these extras that make the difference, so if you’re an Aussie looking to experience the ultimate Hawaiian Island adventure consider booking with MyCruises.com.au. 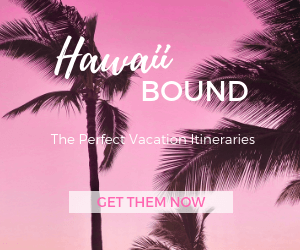 Pride of America is the most convenient way to visit four Hawaiian Islands in eight days, no inter-flights required and you only unpack once! 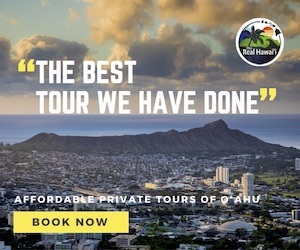 The itinerary departs Oahu every Saturday and returns the following Saturday. 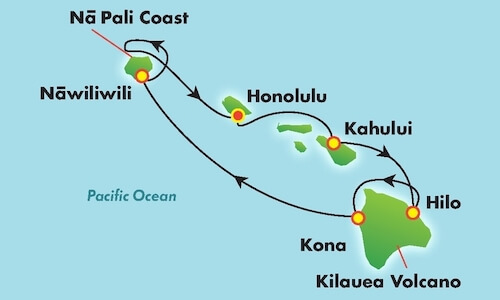 Guests spend two days on Maui, two days on Hawaii Island (one in Hilo, one in Kona) and one and a half days on Kauai. Itinerary current as at January 2019. The cruise departs most ports at dusk and arrives in most ports at dawn, with travel to the islands occurring at night. It’s incredible waking up on a different island every other day and seeing the isles from an out-at-sea vantage point. ADMIRER TIP: Port Talks take place at 8:00am daily. They provide a great island briefing including a historical overview, local transport options including any free shuttles, nearby shopping and attractions. 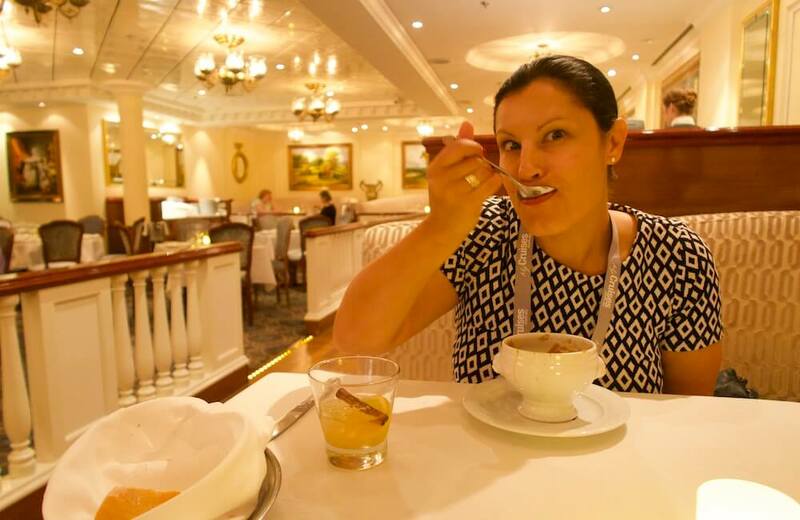 Fine dining in the specialty restaurants was a real highlight! I’m still drooling over Le Bistro’s tasty French onion soup (above), Teppanyaki’s buttery-garlic grilled seafood, La Cucina’s freshly baked bread and mushroom risotto, and the perfectly cooked T-bone from Cagney’s Steakhouse. ADMIRER TIP: Book MyCruises.com.au and receive BONUS Specialty Dining Experiences that allow you to enjoy meals at the specialty restaurants complimentary! Make reservations at the Specialty Dining Desk in-person as soon as you board. The meals are huge (usually 3-courses) so we often ordered just the one meal per person, per sitting, and shared it between the two of us, this also made our package last longer. 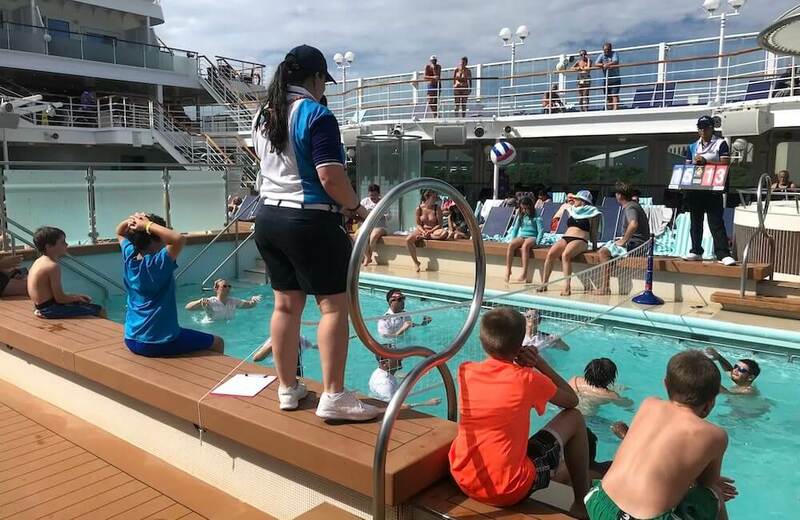 There is so much happening every day on Pride of America, refer to the Freestyle Daily (newsletter) to keep up! 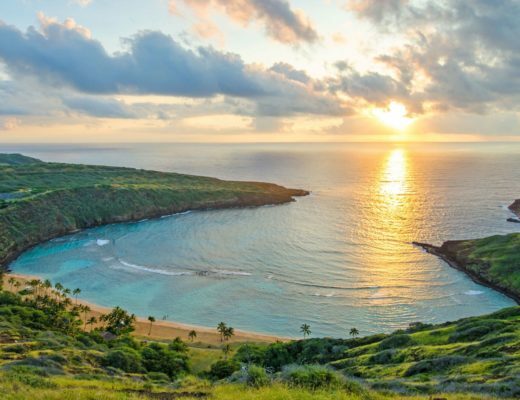 The hardest decision you’ll have to make is how much time to spend on the ship v.s on land exploring Hawaii. 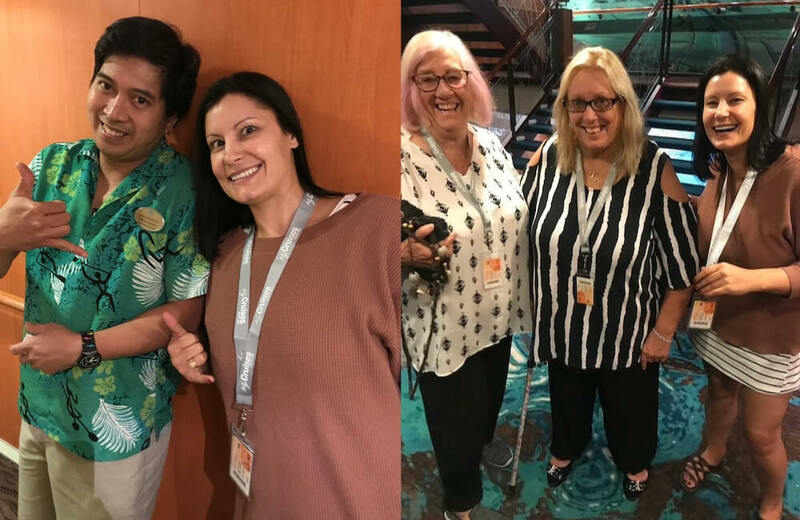 There are also social events throughout the week where guests can meet and mingle with other cruise passengers who share common interests from LGBTQ meet and greets, to a solo traveller get-together, and even an Aussies only catch-up! 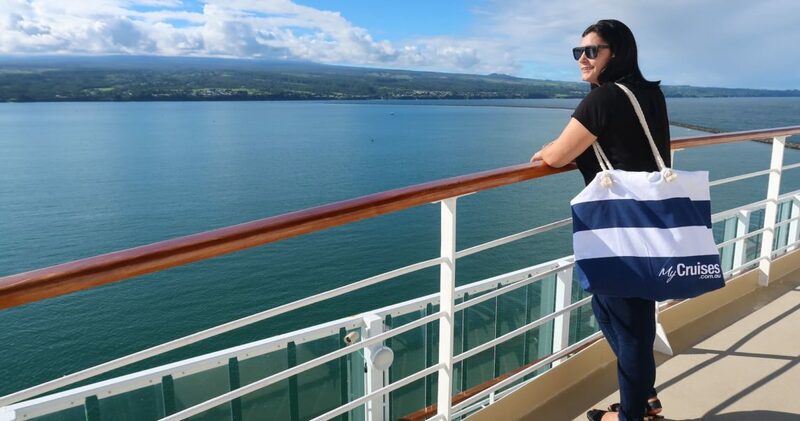 The Hawaiian Islands tempt you to disembark the ship every single day! I highly recommend taking island adventures by booking Shore Excursions. 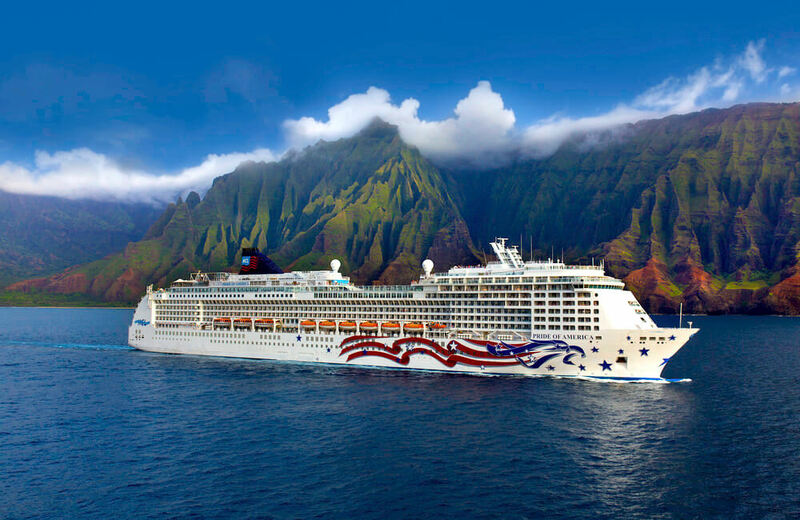 You can book Shore Excursions direct with Norwegian Cruise Line online (you’ll get a login for NCL.com once you’ve made your cruise reservation) or through the Shore Excursions desk on Pride of America. Within an hour of being picked up, we were meandering the tropical road to Hana and into Maui’s Garden of Eden. 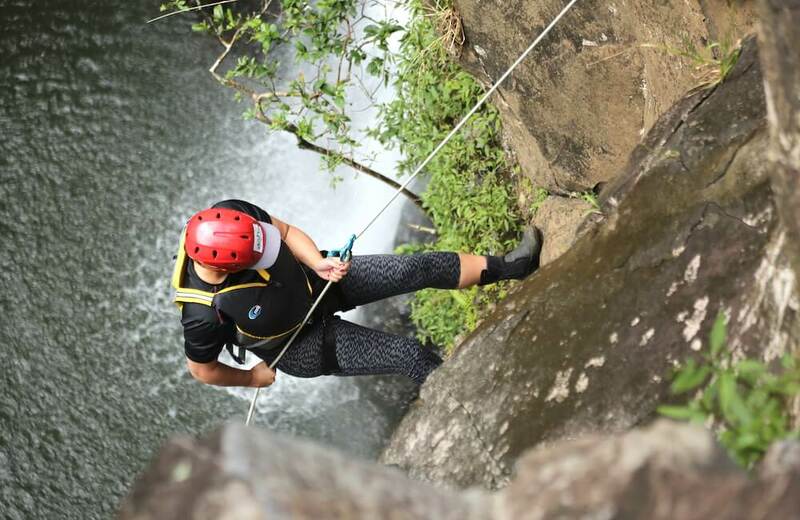 This activity took place in a private area of an arboretum, accessible only to Rappel Maui guests. It was a pleasant change of scenery to be deep within a jungle immersed in natural beauty. This small group tour incorporated hiking, abseiling and swimming and was great for beginners like me! 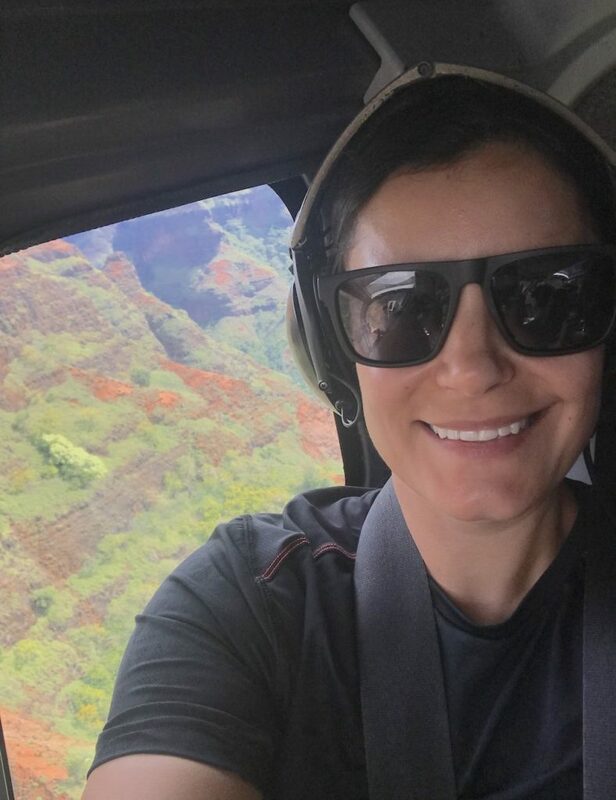 It’s no secret Hawaii helicopter tours are pricey but flying over the island of Kauai will take your breath away and is worth every penny, in my opinion. 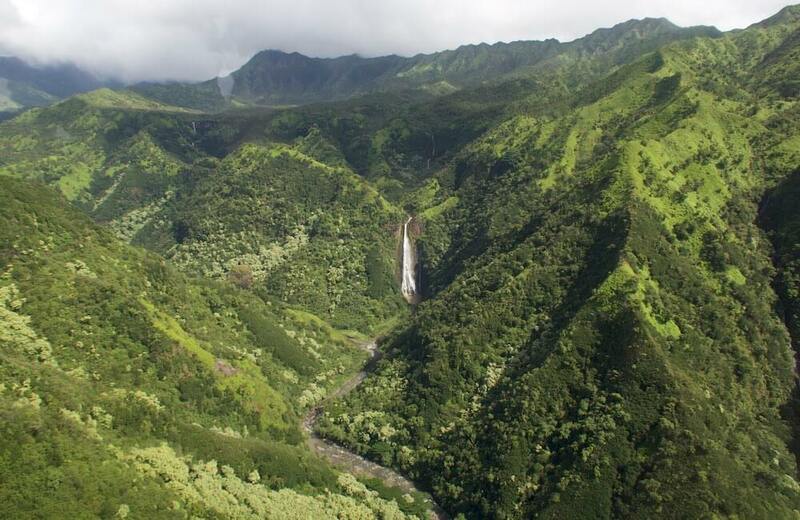 90% of Kauai is undeveloped with the majority of the island’s interior inaccessible by road, this makes this island a fantastic choice for an aerial adventure! 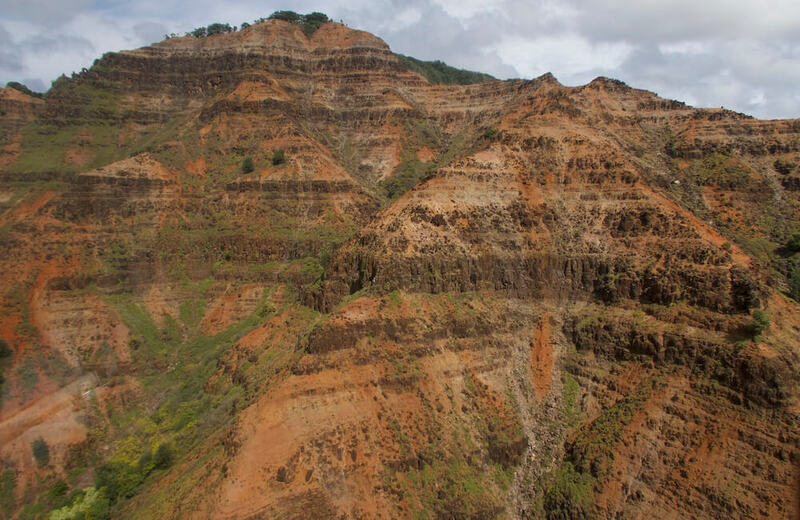 Highlights included Jurassic Park Falls, Waimea Canyon, the Grand Canyon of the Pacific, and the Napali Coast sea cliffs. Alternatively, several other companies offer Shore Excursions. Shore Excursions are specific tours customized to pick-up and drop-off at (or near) the Ports and tour times match the cruise itinerary. The Hawaii Admirer Activity Shop offers Shore Excursions. Once you’ve booked, you’ll be emailed a detailed confirmation and the tour operators contact information. Always re-confirm your tour arrangements with the company a few days beforehand. 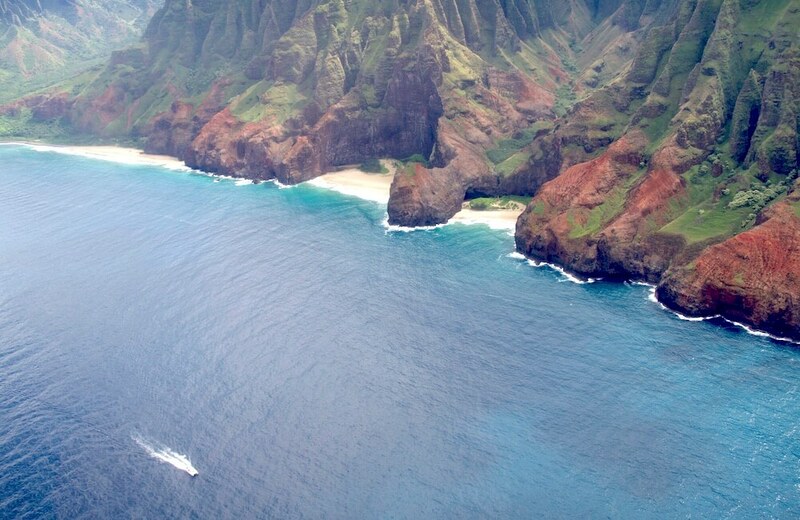 ADMIRER TIP: The biggest event of the cruise is Luau Kalamaku held at Kauai’s historic Kilohana Plantation. This special Hawaiian celebration and feast can be booked onboard at the Shore Excursions desk. It begins with a flower lei greeting and the opportunity to peruse local market stalls, followed by mai tai cocktails, a lavish buffet and a Cirque-de-Soleil-style Polynesian show. 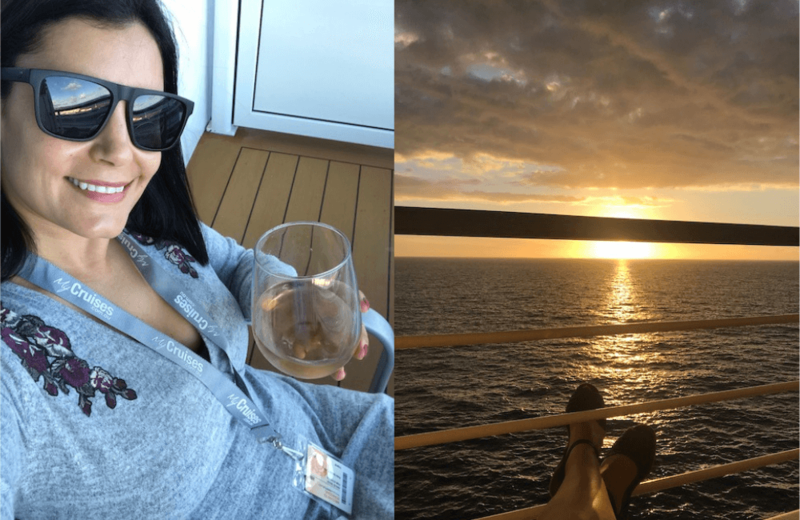 It’s a memorable way to end your cruise! Easing into the holiday spirit is easy on Pride of America with nine bars and lounges. We bar-hopped them all! 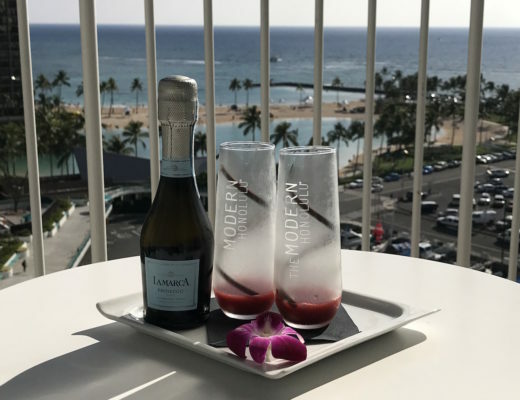 Keep your eyes out for Kona beer, margarita, mojito, wine and sake tastings hosted at various bars during the week, these events attract a small fee and are an affordable way to drink! The winner? Gold Rush Saloon. I had an absolute ball sitting at the bar chatting to friendly bartenders, sipping on the “Cocktail of the Day” and munching on free buttered popcorn! This Wild-West themed sports bar has a great line-up of live music, hosts karaoke and plays the NBA/NFL Games. ADMIRER TIPS: Book Pride of America with MyCruises.com.au and you’ll receive a BONUS FREE Beverage Package (this is a new offer as of January 2019) where Guests are entitled to two drinks per person per transaction including soda, freshly squeezed juice, bottled water and alcohol. 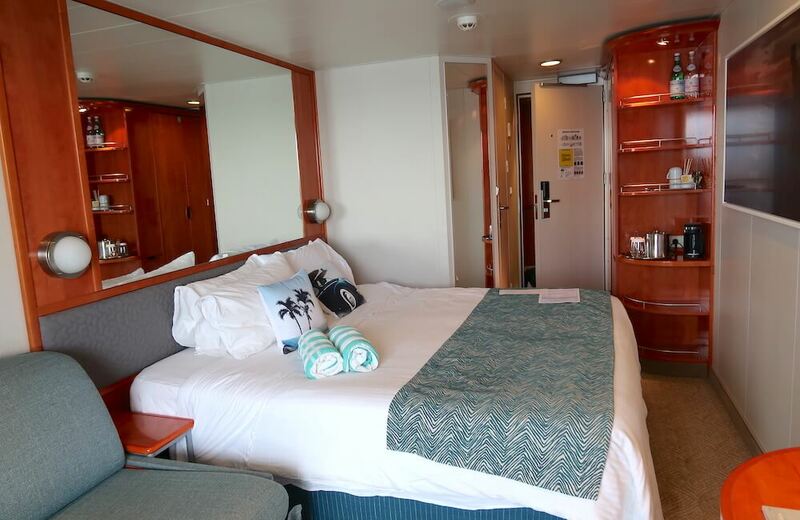 There are lots of cruise accommodation options on Pride of America from stylish Studios perfect for solo travellers through to superior Suites, some of them spacious enough to sleep up to eight people! 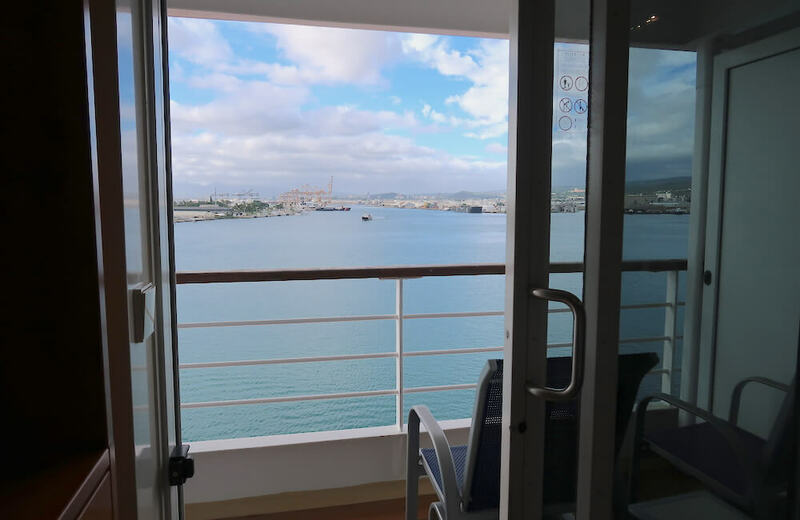 We were impressed with our Oceanview Balcony stateroom complete with floor-to-ceiling glass doors that open to a private balcony. It’s perfect for two, had a huge bed and bigger-than-expected bathroom. We can’t recommend a balcony cabin enough! We spent mornings outside sipping on coffee and evenings gazing at the stars cheers-ing with our BYO champagne and rosé. ADMIRER TIPS: With MyCruises.com.au you’ll always have the option to pay to upgrade your cabin type. 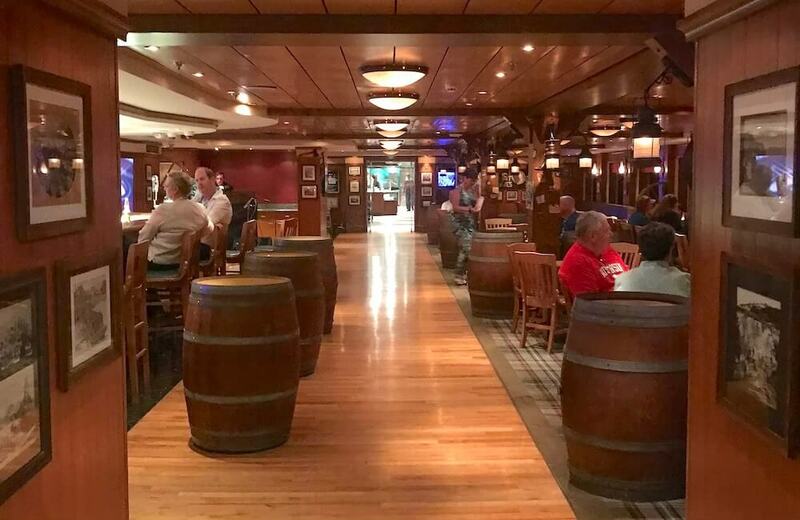 You can BYO wine on Pride of America for a US$15 corkage fee per bottle. There’s an alcohol check-in desk on arrival to the Pier LOL. Ordering a bottle of wine to your cabin can set you back up to US$60, so it’s worth bringing on a few bottles to enjoy a bevvy on the balcony! Each main-stage show on Pride of America is on for one night and one night only (two-time slots), so mark your cruise calendar! We made it to four performances and thoroughly enjoyed them all. Lights, Camera, Action: A tribute to celebrated Hollywood musicals featuring everything from Moulin Rouge high-kicks to Gene Kelly singing in the rain. Comedy: This show was by Tony Daro, a regular on the New York comedy scene and while he was funny, some jokes did go over my non-American head! Wonders! 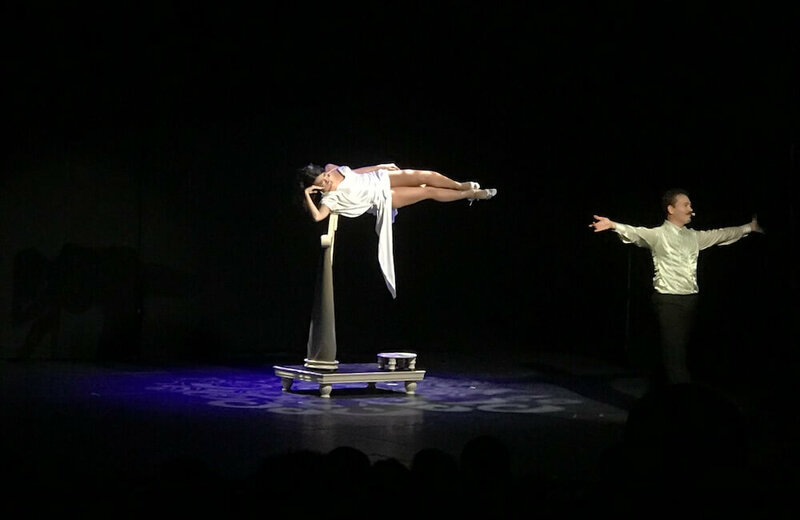 A Magical Experience: Magic by Charles Bach, a world-class magician. His grand illusion left the audience in a state of shock. He disappeared and reappeared at either end of the stage in a fraction of a second, he must be a twin otherwise that was some serious magic! It was incredible. Vegas! The Show: Held on the final night, this performance got Guests into party mode with its Sin City flavour and iconic songs by Elvis, Tina Turner and more. Mandara Spa was the first place we visited after checking into our cabin, I wanted to make sure I secured a massage slot! The salon offers extensive treatments including massage rituals, pedicures and manicures and hair styling. Passes can be bought to access the new Thermal Suite with heated chaise lounge chairs, huge showers, sauna and steam room. I opted for a Bamboo Massage. Warm bamboo stalks and essential oils kneaded my muscles into heavenly bliss. I was so relaxed and tension-free, I almost fell asleep on the way back to my cabin LOL. 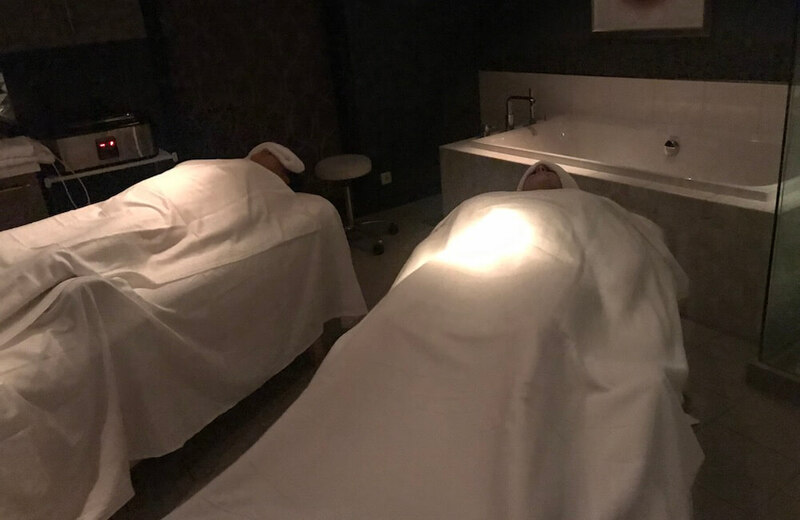 ADMIRER TIP: On the day of embarkation there’s usually a Spa Raffle, if you make your way to the designated location outlined in the Freestyle Daily (newsletter) you’ll get a chance to win spa credits. Pride of America has three swimming pools, a kid’s pool and six hot tubs. There’s also an Entourage Teen Club, Splash Academy Youth Center and Video Arcade to keep the kids occupied. My favourite area was the Oasis Pool, designated for adults-only. Boy, was it a lifesaver for escaping the crowds for a more serene dip. Believe it or not, it was especially calm around sunsets. From the moment we arrived at the Pier we could feel the aloha vibes! Pride of America staff are delightful and significantly contributed to our positive experience. We became fast friends with our Stateroom Steward Chris, he proved invaluable for answering our FAQs. We talked to everyone we came in contact with, both staff and passengers, quizzing them on where they were from, how long they’d been in Hawaii and what they loved about it etc. Being social and making new friends was one of the most rewarding things about our journey! 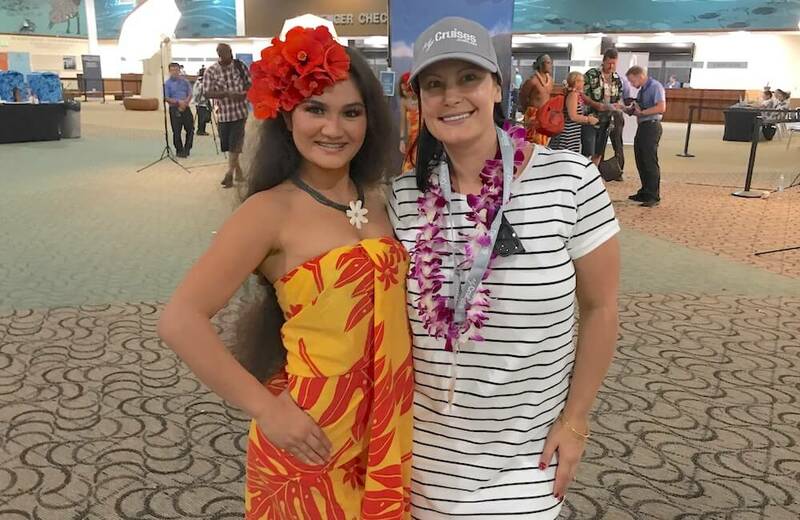 Cruise Review Disclaimer: The Hawaii Admirer was welcomed as a guest on the Norwegian Cruise Line Pride of America hosted by MyCruises on 17 November 2018. All of the thoughts expressed in this article are my honest opinion.